There was once a time in history when nearly everyone believed in the existence of vampires. Virtually every country and every culture has their own vampire myths and legends. You can find vampire folklore throughout the world. But there is more than just folklore, hundreds of years ago there were countless cases of real vampirism reported. But is there any truth to these age-old tales of the undead? Paul Barber had a theory. Paul Barber was one of the foremost contemporary scholars on the topic of superstitions and beliefs concerning the belief in vampires. Barber was a research associate at the Fowler Museum of Cultural History at UCLA when he presented his theories on vampires in Vampires, Burials, and Death (1988). Personally, I agree with Barber. I’ve believed in his theory before I even read about it. 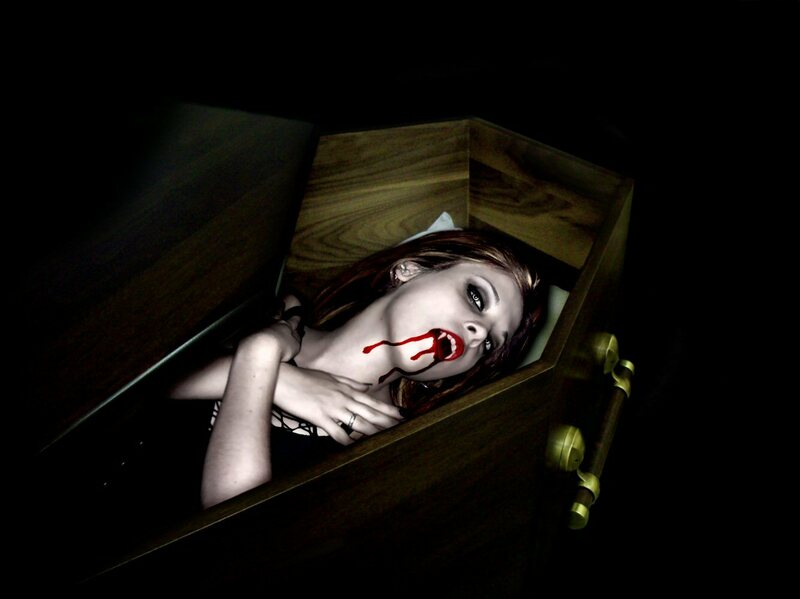 Vampire tales came from scientific ignorance. I don’t believe there was anything supernatural about these occurrences. I don’t believe vampires ever existed, they were imagined by the ignorant and the fearful. What are your thoughts on Paul Barber’s theory? I do believe that he makes a very valid point with this theory. I also believe that it is true, but only 99% of the time. There was one instance (I can’t remember exactly when) but there was a man named I believe Paole? He was in the army and said that there was a man that drank his blood. Shortly after his arrival home he became ill and died. A week after his death, people in the town reported that they had seen him walking around. Now I would love to believe that he had been bitten and turned into a vampire, but I am also a little skeptic. I know that people in the town could have wanted to believe, therefore made it so. But after he was spotted, they went and opened his grave and noted the fresh blood on his clothes, and like many cases his fingernails were longer and his hair grew as well. This story was published in the newspaper, however I don’t remember when or where, and I can’t look it up now because I am at work! I’m not trying to be rude and I am all up for discussions, but none of what you just said made any kind of sense. But why would they have the notion that the dead were walking and menacing the living – the reason why they exhumed the graves in the first place? I think that’s because of nightmares and sleep paralysis. Sleep paralysis is a physiological phenomenon that includes the sensation of being unable to move while something is draining breath or life energy. Sleep paralysis is probably also behind reports of other folkloric phenomena like Old Hag, cats stealing breath, the incubus, and, in the modern era, alien abduction. In the case of vampires and revenants, the interpretation was that the malign presence was a recently deceased family member or neighbor. The vampire legend also explained outbreaks of deadly infectious diseases that killed several people in a family or neighborhood. So there was the epidemiological phenomenon, ‘eyewitness’ reports (nightmare & sleep paralysis) and finally confirmation through exhumation. This is what the vampires want you to belive!!! Ah ok. Not a bad theory :) But wouldn’t we have found some trace of such a creature? Like fossils? I’ve long been a fan of Barber’s theory and it does explain much.but not all. It doesn’t explain all (for instance the phenomena of sleep paralysis leading to visitations of vampires, or incubi/succubi or grey aliens – they are all remarkably similar) but modern experiments around this and the theories of such as Jung help us plumb those depths. However, for the vampire panics of the 18th century Barber’s theory is pretty spot on. For the person who mention Paole… that is perfectly within Barber’s theory and, whilst you were working from memory, important aspects were left out. Paole did claim he was attacked by a vampire (whilst a soldier) but also claimed he ate the dirt from a vampire’s grave to cure himself. He died several years later in an accident. As people died in his village his story caused his grave to be dug up. His corpse was destroyed. He was then blamed for another outbreak five years later (due to meat from a cow he had attacked being put into the human food chain). oh well, I read in a newspaper article that some fossils are found that somehow proves that vampires existed…. i dont mean to be rude but i strongly disagree … but i will not sit here and try to tell you something that you will never believe . but dont worry ill get the facts and prove you wrong about vampires even though the things you say do truly happen to the human body after they die , what you say about vampires is not the truth …sorry if it sounds rude ,and thank you .